It was clear as soon as I entered Corner Hotel that the Growlers self proclaimed genre 'beach goth' was going to be well in force the entire night - it was even printed on their merch. When they hit the stage, I began to understand what this 'beach goth' entailed. Here was a band performing songs that would make a perfect playlist for frolicking in salt water and building sand castles, dressed in converse. 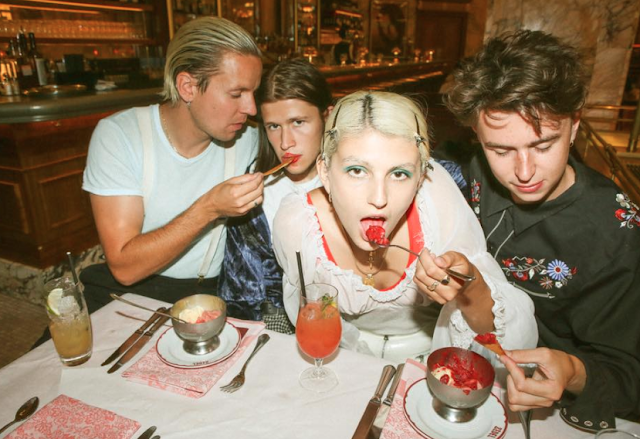 Australian surf rockers Babe Rainbow, performed prior to the Growlers. Their style was just as eccentric as those in the crowd. Babe Rainbow made it easy for everybody to forget we were in windy and tepid Melbourne, and instead transported us all to a warmer place - without the price of airplane travel or tedious queues. A crowd favourite from their solid set was 'Love Forever'. I thought it was a clever move to have Babe Rainbow open for the Growlers as their sounds compliment one another. It also ensured that by the time they hit the stage, the crowd were warmed up and ready for the show. Choosing a setlist must be a challenge for the band from the West Coast. We're talking about a band that in their nine years of existence have dropped five albums and a number of LPs. Therefore it makes sense to have a set that goes well over and hour and a half. I was pleased to see them play a diverse set that incorporated both new and old. There were a good portion of their songs from their latest release Chinese Fountain. It was a true pleasure to see 'Love Test' live, as well as 'Black Memories'. the Growlers not only performed, they set the scene. Brooks Nielsen's vocals were both clean and crisp, his stage presence was also confident and self assured. He has become synonymous for his on-stage attitude, and his ability to hold an audience and capture them in the moment. If I had to select one song that was corresponding to the idea of 'beach goth', it is 'Naked Kids'. Not only that, it was the track that brought the most grooves, even the people in the crowd who were reluctant to let go couldn't help but move. If I had one complaint, it was with the venue. The sound was incredible from the front, but when I moved towards the back at the end of the show, there was hardly any sound back there. Usually Corner is an excellent venue, but something was off last night. I don't think it was fair to the Growlers, who were incredible and can't be blamed for the mishap. 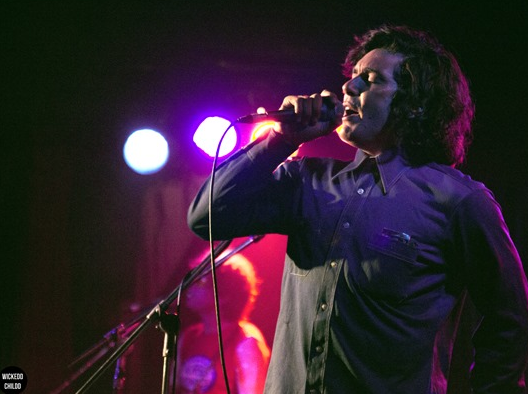 the Growlers brought their fusion of psychedelic, garage, surf and space rock in genuine, authoritative and awe-inspiring fashion. It's obvious why they have gained such a large following over the years with so many people, and why they are so well loved. As someone who couldn't understand the concept of 'beach goth' before the show, the Growlers did a killer job in showing me what it's all about.